In recent years, data-driven decision-making processes in planning and development of Indonesian cities is on the rise. Despite the glut of data, they are often inaccessible and do not translate well into a set of meaningful information that could inform a more inclusive planning. Data is scattered and not represented in ways that could help to catalyze the necessary conversation about development issues and prioritization, between government officials, and more importantly, between the officials and citizens. 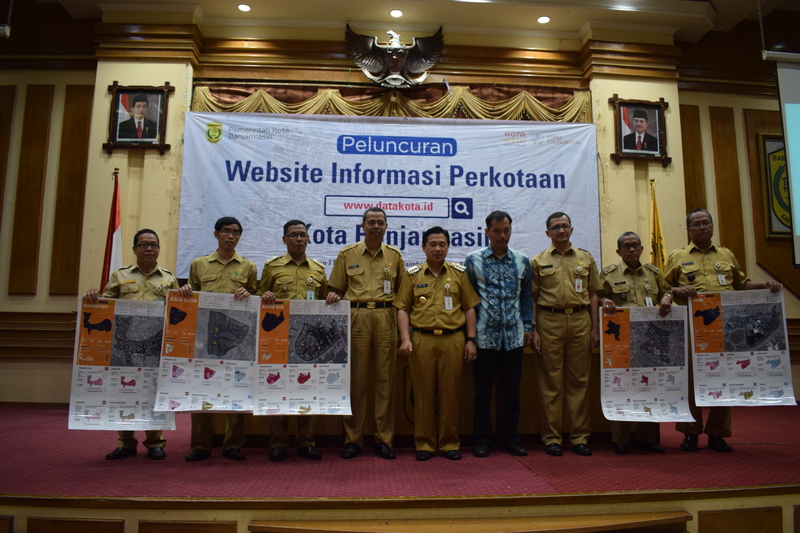 Since 2017, City Government of Banjarmasin and Kota Kita have been working together to establish and maintain a free and open, urban diagnostic platform, Data Kota (www.datakota.id/banjarmasin). The platform consolidates socio-demographic data and features an interactive map that geographically locates the different conditions and allows users to create and print each of the city’s 52 neighborhood (Kelurahan) profiles and produce what is called a ‘mini-atlas’. Mini Atlas, one of the main tools of the project, it is an infographic product that shows how each neighborhood works and illustrates patterns of social and economic, accessibility, and inclusivity problems and opportunities. 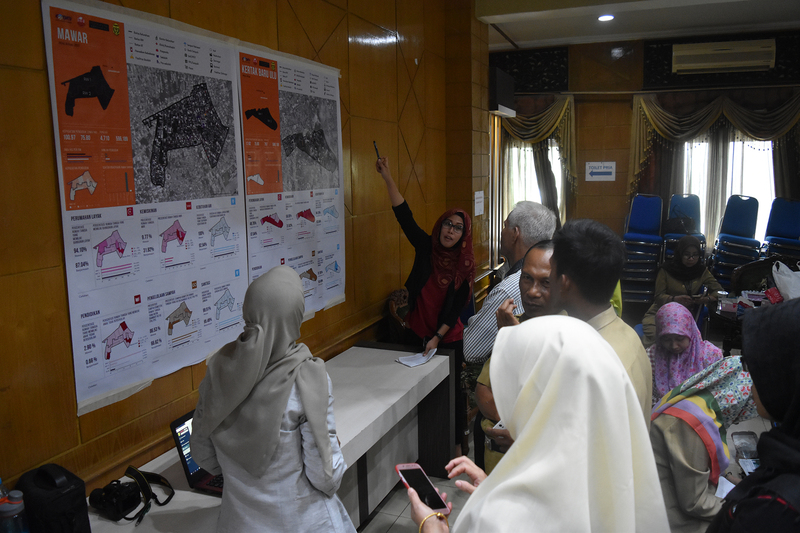 Building on Solo Kota Kita, the initiative in Banjarmasin followed a similar yet more refined implementation and representation of results. 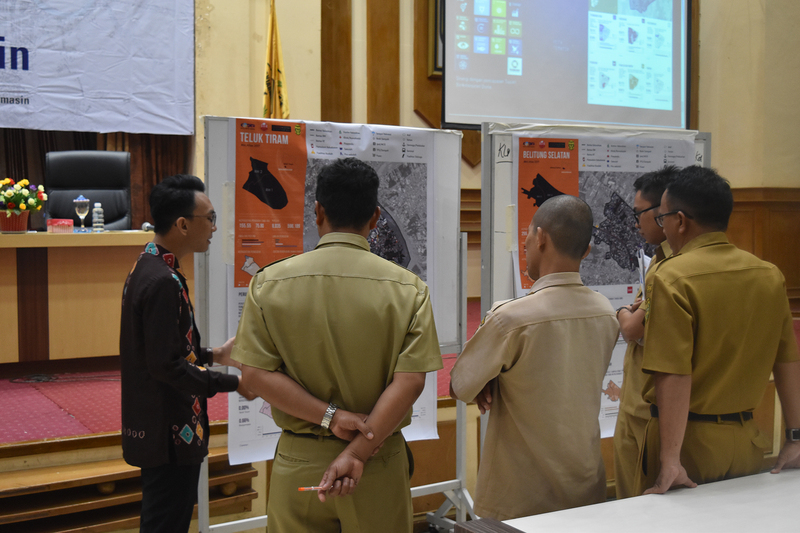 It collaborated with local government, divisions, relevant working groups, and citizen volunteers to extensively collect data from the smallest administrative unit, Rukun Tetangga (RT), illustrating the different conditions from its demography, economy, education, access to sanitation, clean water, waste management, to types of houses along with their land tenure status or property relations. 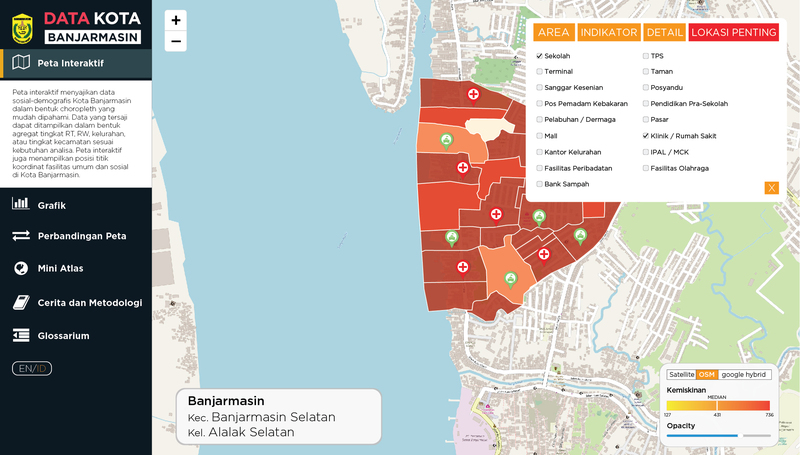 Citizen volunteers in Banjarmasin conducted citywide, door-to-door survey using an Android-based mobile survey application that allows for faster, more detailed, geotagged information about the urban conditions. Data Kota is developed by an interdisciplinary team that worked to interpret and communicate urban patterns and potentials in a way that is user-friendly for government officials and citizens. Banjarmasin Data Kota applied visualization and geospatial web-based technology to aid the interpretation of urban data. Features include 1) an interactive map that displays color-coded geospatial information layers in each neighborhood, 2) charts that applies different indicators for neighborhood comparisons, 3) comparative maps, and 4) a do-it-yourself Mini Atlas that allows citizens to choose and print themselves, a neighborhood profile with its 6 key features. Decision making based on data derived from the residents themselves can lead to a stronger, more impactful connection to what citizens want and need. With the help of fine-grained RT level data, It can influence positively how local governments invest in neighborhoods. 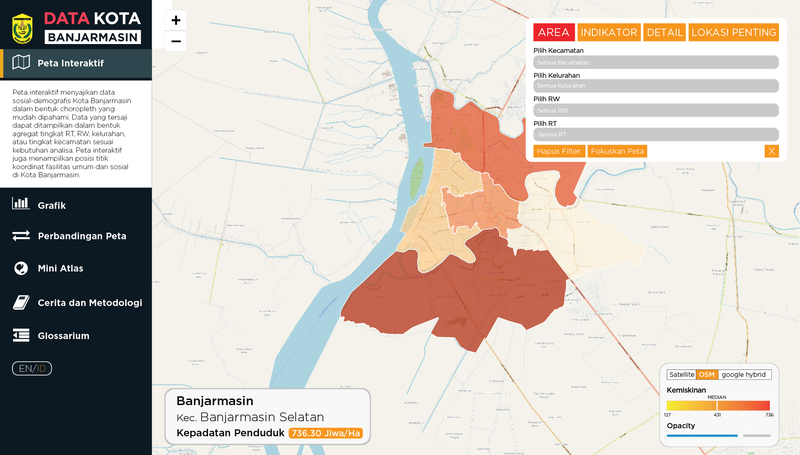 Banjarmasin is the first of the many cities that will participate in the Data Kota platform.